Final installations and applications are customized to meet any number of specifications such as graphic application, electronics or hardware installation, material integration, and intricate product and display assembly. Read our case study on the Extreme Sports Camera Display for an example of the detailed attention we apply to final installations and applications. Each order also receives customized packaging attention to ensure safe delivery. 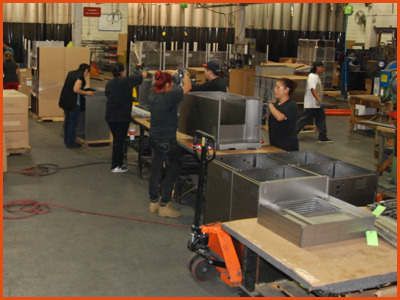 Our shipping departments develop unique packaging cells so that any size or shape of component is prepared for safe transport. 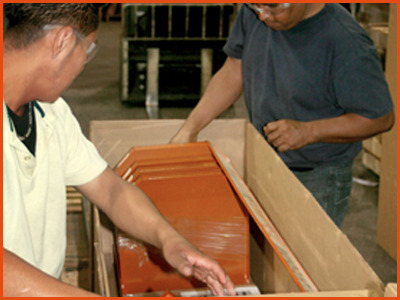 We supply custom cores, crates, pallets, banding, supports, and more. 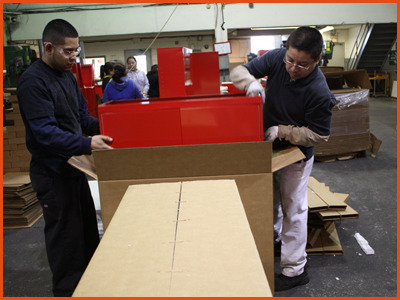 When necessary, custom packaging houses are utilized on special orders to meet specific requirements a client may have. Additionally, detailed and comprehensive instructions are inserted so that any components requiring post-delivery assembly can be completed without confusion and frustration.